Parents rejoice! When the weather is nice in Wisconsin, there are many incredible options to help your children burn off a little energy. 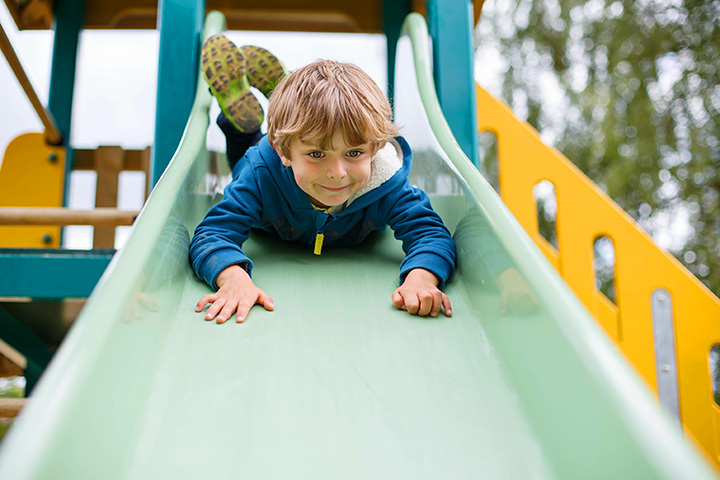 From Oconomowoc to Kenosha, you’ll find an abundance of amazing playgrounds for your children to play and get active. Here are the 10 best in the state! The Big Backyard in New Berlin, Wisconsin, is a place for children of all ages to visit time and again. There are age appropriate activities for everyone, and what makes The Big Backyard is such a great playground for kids in that it is open year-round, rain or shine, wind or snow. Crawl through the giant caterpillar or slide down the enormous green slide! The mission of Imagination Station is to bring the Oconomowoc community together by having a unique playground where children of every age and ability can come and play together. Imagination Station makes the unimaginable imaginable, especially for children with disabilities. It’s a very ecofriendly establishment, with rubberized surfacing, recycled plastic composite ramping, therapeutic swings and a swinging deck, musical and educational components, and so much more! Kenosha Dream Playground in Petzke Park is another great playground in Wisconsin for children of all ages—and abilities. It’s an all-inclusive playground where children can play together, learn from each other and find their strength to overcome challenges and obstacles. One highlight that every kid will love: non-electrostatic slides! There is also an accessible merry-go-round and incorporates many elements from the Kenosha community, including a trolley car and jellybean shaped stepping stones! Just 4 Fun Playland and Party Place is for those who seek all day adventure or those just wanting to escape the weather. It’s like being in an all-in-one huge backyard or at a great park but without the weather or the mosquitoes. The space is over 6,000 square-feet and features fluffy white clouds and a faux yard with patio furniture, as well as a “driveway” style basketball court. Even better? It also has a snack bar to satisfy those afternoon munchies! One of the most unique features of Kash Playground is its “poured in place” rubber surface, which creates a smooth, brightly colored, permeable surface which allows universal access for wheelchairs, strollers and walkers. The playground features slides, swings, jungle gyms, and its appearance makes it feel like a mini royal castle at every turn! The Blu Play Café is a popular spot for parents and children alike in Wisconsin Rapids. The Fun Zone as it’s called, is over 3,000 square-foot of fun where kids’ imaginations can run wild as they explore, climb, crawl and slide. And while the kids are enjoying all the fun, parents can relax and enjoy conversation with friends or some much needed quiet time while sitting in the comfort of the café. Fort Cushing Playground is located within the eight-and-a-half-acre community park of Cushing Memorial Park. The park features open space, walking and hiking trails, a Civil War Memorial, and of course the Fort Cushing Playground, which is a large and quite popular playground in the area. The structure of the playground is like Medieval castles, with tall towers and wooden like enclosures. Henry Schuette Park is located on over 65 acres by the scenic Manitowoc River in Mantiowoc, Wisconsin. It features rolling terrain, wildlife, aquatic type plants, bushes and a great forest area. It also has a community built playground that was built in 2003 and is the size of a large football field. It features tunnels, an expansive playhouse, bridge and therapeutic swings, as well as a sandbox area, a castle, and parallel bars! Kinderberg Park in Germantown, Wisconsin, is the local neighborhood park. Comprised of 23 acres, it is home to many recreation programs and events throughout the year and features a 1,200 square-foot “sprayground” where children can come and enjoy a refreshing run through the sprinklers during the hot summer days. When they’re not cooling off, they’re running through the giant playground, climbing on slides, and pretending to be Queens or Kings of the castle! Kayla’s Krew is located at the Franklin Woods Nature Center, and offers a playful yet relaxing atmosphere for families of all abilities. The playground was inspired by Kayla Runte and her friends. Kayla never walked or spoke a word, but she had a support group that taught her valuable life lessons. When Kayla passed in 2012, Kayla’s Krew was formed by the people who wanted to build an all-inclusive and all-accessible playground for children just like Kayla. It features swings, slides, boats, climbing ramps and so much more!